It’s a beautiful sunny afternoon after what seems like weeks of rain and I got just a bit of time to myself to get crafty. 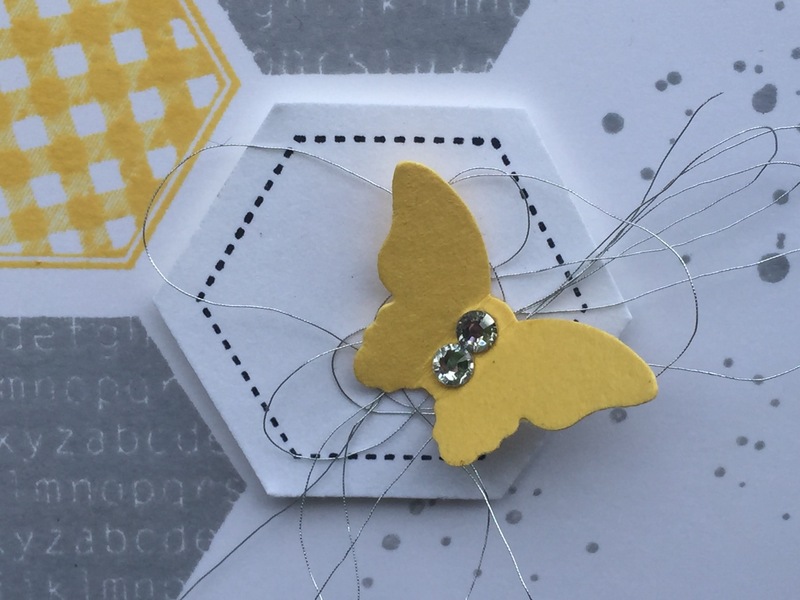 I sat down with the new stamp set from the Stampin’ Up occasions catalog called Beauty Abounds and I am in love with the bokeh stamps in this set. I will be using them a LOT! It’s kind of like the retired set Gorgeous Grunge. The Beauty Abounds stamp set has coordinating Butterfly Beauty dies. I snipped the butterflies apart to make this lovely scrapbook layout using the Botanical Butterfly Designer Series Paper. I stamped the bokeh in Grapefruit Grove to coordinate. This double page layout has gotten to me and I’m ready to go work on my spring flowers pots, the front porch or yard. It’s that time are you ready? I love to look around and see all the shades of spring. The depth of all the greens and the trees burst into bloom and the butterflies start fluttering around in the sunshine. It’s a beautiful day. I hope you enjoy it as much as I have. It’s a Cookie Cutter Christmas! After a long hiatus I am so thankful to be blogging today. My work hours have eased up a bit giving me a little bit of free time to paper craft. I love making cards and it’s like therapy for me and probably cheaper. I’m not quite sure my husband would agree but that’s my story and I’m sticking to it. 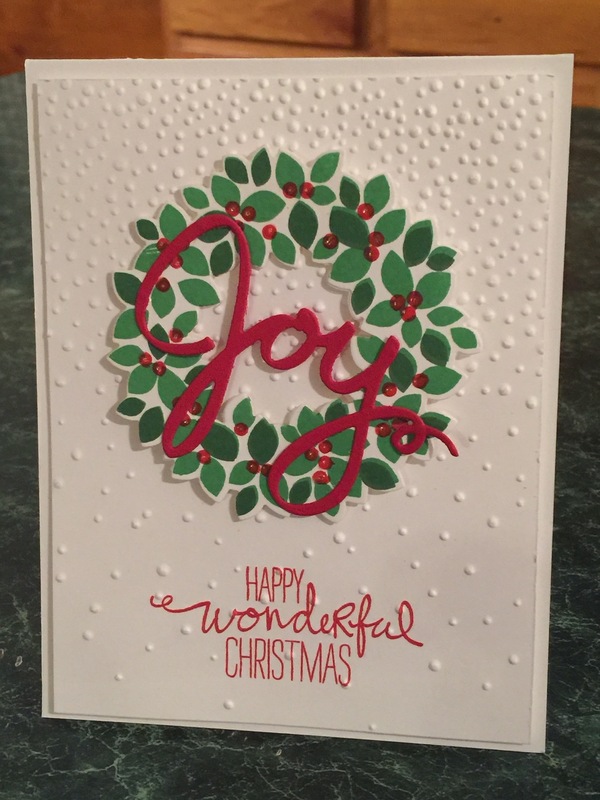 Today’s light hearted Christmas card was made using Stampin’ Up’s Cookie Cutter Christmas stamp set which is my favorite from the new occasions catalog. I used crumb cake card stock along with real red and whisper white. It was my first time to use the new 3D cable knit sweater embossing folder and I fell in LOVE! The dimension is incredible. I can’t wait to demo that folder in class. I stamped the reindeer in basic black on crumb cake cardstock and colored his face with a crumb cake marker. I used chocolate chip for his antlers with a few crumb cake highlights. I colored the nose with real red and topped with the fine tip glue pen to give it a little dimension. 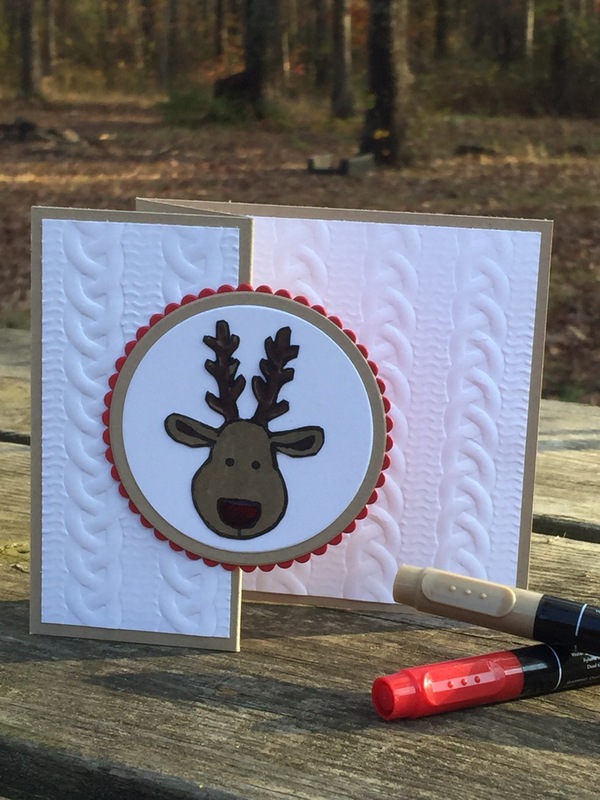 I cut and layered the reindeer on whisper white and real red mats using the layering circle framelits. Talk about adorable, the card has a classic simple vibe which I love. So let me see your Christmas projects. I’d love to see what you are working on. In the mean time. Happy crafting and I hope to see you soon. 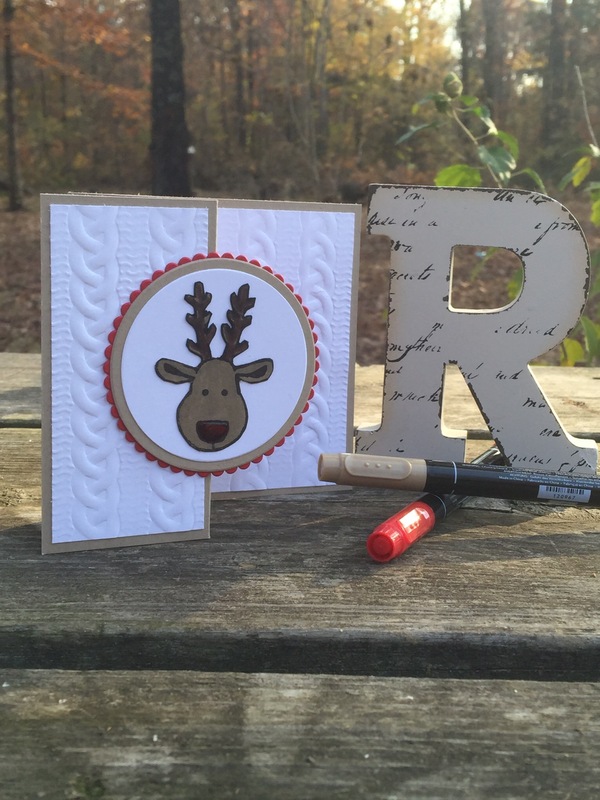 I love it when I can use my Stampin’ Up supplies for more than paper crafting. It makes me feel not so guilty of my crafting hoard. Anyone else there too? I have 3 teenage boys that go through clothes like there is no tomorrow. I try to upcycle them when possible. I used the Boquet Bigz L die to cut the solid flower out using my Big Shot and stacked them alternating the petals. I then just tacked them in place with a needle and thread using an X stitch. 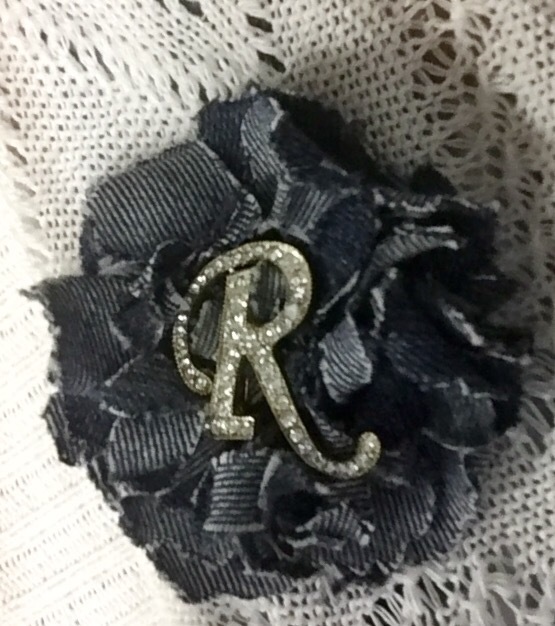 I then attached the rhinestone monogram using the button loop on the back. I love the way the upcycled denim ruffled. This lovely brooch went fabulous with my blue denim striped maxi dress and white cardigan!